A fighter with many special moves that appear to come from the world of pro wrestling. 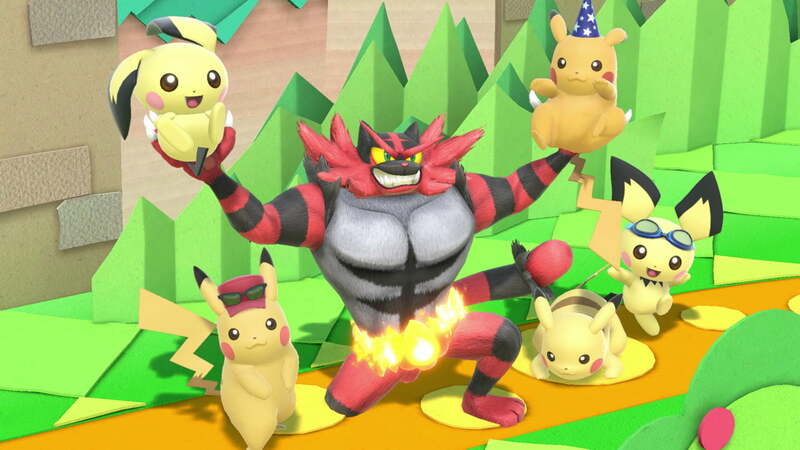 Incineroar has many moves from its original game, like Darkest Lariat, Cross Chop, and Revenge. Its Final Smash is Max Malicious Moonsault. Let the Z-Power explode and deliver a powerful blow! You can now check out Battle! (Wild Pokémon). The battle track from wild Pokémon battles in the Pokémon Sun and Pokémon Moon games have been arranged by Hiroyuki Kawada. Let’s Alola!